Are you a fan, alumni or do you claim the University of Pittsburg as your Alma Mater and want to show off your fandom? 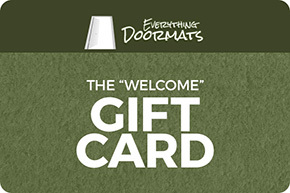 Then check out our fantastic selection of PITT doormats, car mats, area rugs and floor mats. We have Panthers doormats & rugs that include both the logo and the mascot so you can find the decor that will work best for you. So dress up your home or cars' decor with Panthers mats and show off your fandom to all your guests, visitors or passengers. University of Pittsburgh Utility Mat Set - Vinyl 14" x 17"
University of Pittsburgh Utility Mat - Vinyl 14" x 17"
University of Pittsburgh Cargo Mat - Vinyl 31" x 31"
University of Pittsburgh 2pc Vinyl Car Floor Mats - 18" x 27"
University of Pittsburgh Logo Doormat - Vinyl 18" x 30"
University of Pittsburgh Outdoor Ulti-Mat - Nylon 60" x 96"
University of Pittsburgh Panthers Tailgater Mat - 60" x 72"
University of Pittsburgh Panthers All Star Area Mat - 34" x 44.5"
University of Pittsburgh Panthers Starter Doormat - 19" x 30"